For private customers, clubs, societies and schools. Surrey based Academy Sports Limited, not only build tennis courts but also design, build and maintain high-quality, all-weather sports court surfaces of all types throughout South-East England. Since the foundation of the company in 1993, our primary company goal has been to provide all clients with the highest standard of service whether that be building tennis courts, court reconstruction, resurfacing or multi-use games area (MUGA) maintenance. Get in touch for a price on a new tennis court build or refurbishment for your home, club, school or local community. Academy Sports is a Principal Contractor of SAPCA, the Sports and Play Construction Association, the recognised professional association. All tennis court and other construction work is carried out by the company in accordance with the SAPCA Code of Practice, as supported by the Lawn Tennis Association and Sports Councils. The company has full Public, Products and Employer’s Liability insurances and comprehensive Contractor’s All-risks cover. The two directors, Mike Farthing and Matthew Flint, personally oversee each and every project, from the initial appraisal and quotation until handover of the completed facility. This personal service and commitment to quality mean that a significant proportion of the company's business results from personal recommendation by former clients. Both independent and maintained schools throughout the south-east have purchased tennis and other sports courts from us. See our testimonials page for their letters of thanks and our gallery for images of the completed works. We count sports clubs and public bodies throughout the south-east of England amongst our clients. Many of these clubs have supplied letters of reference and will allow prospective customers to view their courts. Our impressive client list includes private purchasers of domestic tennis courts. Many of these clients have supplied letters of reference and/or are happy for prospective customers to view the work previously done for them. Well, the summer has departed for the present. 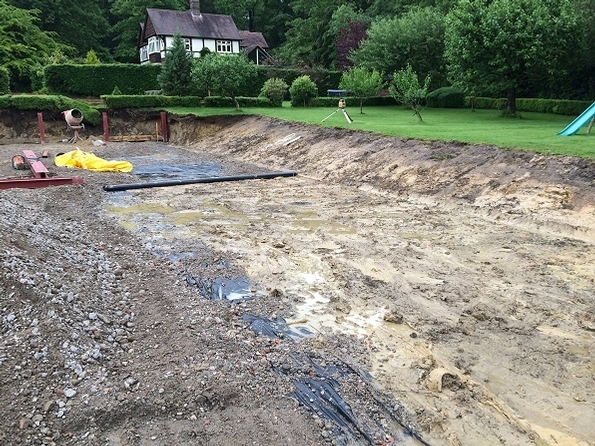 A few weeks ago, we thought that the rain had gone and we had a clear window of good weather to build a tennis court..... but today, our site in Hambledon, Surrey has gone from dry and dusty to quagmire! 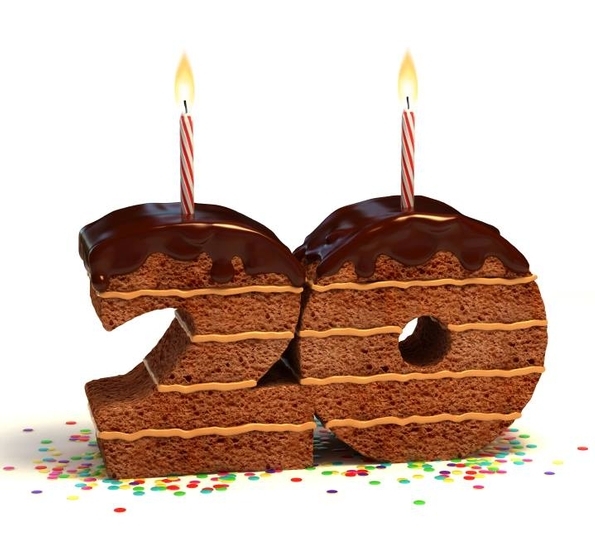 Well, we made it to 20 years! Despite all the doom and gloom of the statistics (90% of new businesses fail in the first year; 50% never make it past the fifth, etc. etc..) we are still going strong!